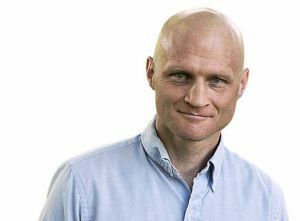 Pensacola State College presents an evening with Scott Dikkers, creator of The Onion News Network, set for 7:30 p.m. Thursday, Jan. 24, in the Jean and Paul Amos Performance Studio on the Pensacola campus. Tickets are $11 for adults; $9, seniors, non-PSC students and children; $7, PSC Seniors Club members, PSC faculty and staff; and free for PSC students with current ID. Sharing the hilarious and unlikely story of how he and a few friends started a fake newspaper that grew to be one of the world’s most popular online humor sites, Dikkers imparts the inspirational lessons he has learned about pursuing dreams and taking creative risks. Tickets go on sale Jan. 7 and can be purchased at www.pensacolastate.edu/lyceum or at the Lyceum Box Office, Building 8, Room 861, from 8:30 a.m.-4 p.m. Monday through Friday. Tickets also are available at the door, one hour before the performance. For more information, call the Lyceum Box Office at 850-484-1847.